Cloud and edge computing are both key to the advancement of large-scale IoT projects. As data grows, a computing source close to devices is needed. The electrical grid as we know it is one of the most advanced technologies out there, and it's been powering our homes and businesses for more than a century now. But with our urban population growing at an exponential pace and the need for alternate sources of energy rising, grids of the future will look very different. They are supposed to derive higher efficiency, reduce losses, integrate with newer sources of energy such as wind, solar, etc. and, most importantly, become unstoppable. “There will be 50 billion things connected to the internet by 2020, as predicted by Cisco Internet Business Solution Group and India is estimated to install 130 million smart meters by 2021 by Asia power.” India is ranked first in the global transmission and distribution losses; to reduce these losses, the country needs to have a smarter grid with more information to act upon. In a vast country like India, where the renewable energy resources are abundant, power generation from these sources is growing at a steady rate and the integration of these into the grid is a challenge in itself. Smart grids augment capabilities of our existing grid while adding a two-way communication network to continuously sense, analyze, pre-empt, and act upon potential uncertainties. A smart grid of this scale would include unimaginable amounts of data and processing, which would prove challenging with our existing setup. Deploying smart grid technologies presents an opportunity to address the problems of an aging energy infrastructure that needs to be upgraded. It’s a step toward an energy efficient system and to bring increased awareness to consumers about the relationship between a consumer and their electricity usage and the utility company, which provides the electricity. IoT is the core technology in a smart grid, which is the foundation of realizing intelligence capabilities. Power generation units consist of many devices (things) such as transformers, breakers, switches, meters, relays, IEDs, capacitor banks, voltage regulators, cameras, etc. M2M communication of these objects from grid to household can be achieved using IoT. 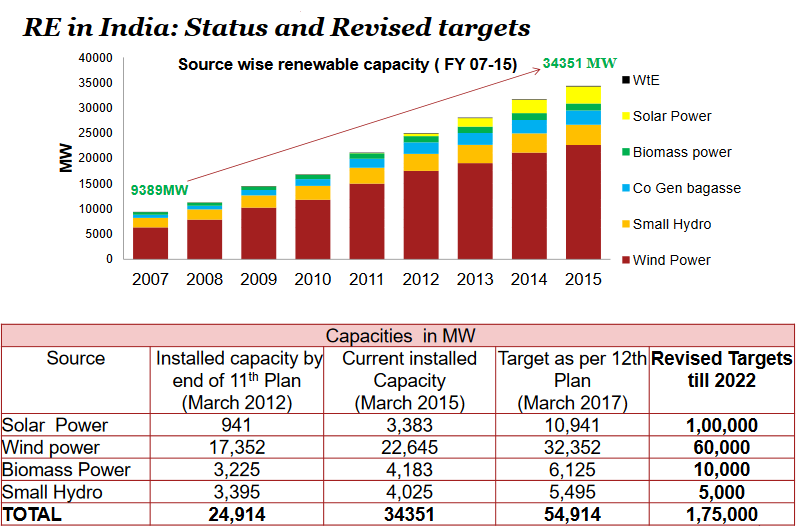 With India's installed capacity currently at 38GW in 2015, it is expected to grow rapidly, and by 2022, new and renewable energy will contribute almost 20% to India’s entire power generation. Currently, grid-integrated, solar-generated power is only 10% of that, but it is estimated to contribute almost 57% of the 175GW expected target generation by 2022, which infers the increase in the number of connected devices and the huge amounts of data generated. IoT-based smart grids consist of a lot of smart objects connecting the household and the utility companies, and these objects generate a lot of data. Managing the data generated, i.e. transferring, storing, and analyzing such huge amounts of data, will require a data center and data analytics software implementation capabilities that may result in huge maintenance costs. Cloud computing is a solution to the IoT-based smart grid. And a major feature a cloud system with edge offers is the scalability factor, which is not the case with the current storage setup (SAN or NAS), as we can see in the table above. Using proprietary storage arrays costs a lot. The total cost of ownership is high because it includes the bundle of hardware and proprietary software along with maintenance contract with the company. These systems use expensive hardware and are aimed at providing resiliency and, thereby, providing their customers with a 'highly available' storage backend. Critical applications, such as smart grids, cannot rely on systems where there is a chance of failure. Edge computing refers to the enabling technologies allowing computation to be performed closer to the data source. For example, a smartphone or a tablet can act as an edge device between physical data and the cloud. The principle of edge is that computing should happen at the proximity of the data source. Consider the case of a fuel cell generator. Fuel cell systems are a clean and reliable source of backup power providing a viable alternative to generator sets and battery strings because, in the case of cell sites that are susceptible to severe weather natural disaster and poor electric grid reliability, these act as saviors. They're essential in the process of deploying fuel cell generators (FCG: a DC power generator used to ensure all telecom equipment remains at full operation) across multiple telecom sites and integrating deployments to an asset monitoring platform. The FCGs send the operational data to a dedicated wireless edge device, and the edge further communicates to the central monitoring and control station. Although currently, edge communicates over cellular, this can be, and is being, migrated to use local wireless providers' networks. From an asset monitoring platform standpoint, the data from the fuel cells will be used for regular status updates, remote sensing of parameters, event triggers, push set points, etc. With sufficient focus on the development of technologies to ensure the security aspects of cloud computing, the IoT-based smart grids integrated with edge computing have the potential to provide significant benefits. Improved transmission efficiency, consumer awareness of energy consumption, ease of monitoring and control of energy usage, time of energy usage, etc. will help reduce costs both for the consumer and for the utility companies. The cloud-computing-based solution makes the deployment of smart grid technologies more economical as well as more reliable. Cloud-computing-based smart grid technologies also have the potential to ease deployments, which means reduced infrastructure costs and improved economic development prospects. Published at DZone with permission of Epuri Prasanna Kumar . See the original article here.